Welcome to Tornado Event Hire. 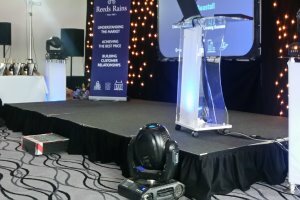 We are specialists in Corporate Events’ equipment hire including Audio Visual hire; Lighting hire; Sound hire; Staging and other equipment hire to suit all your business event needs. 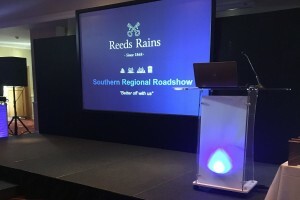 Our team of professional and highly trained specialists have many years’ experience of providing equipment for a range of functions, from small business meetings to large corporate conferences. 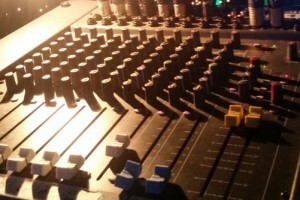 The purpose of the event plays a significant role in the equipment you need. For example, are you bringing the company together for a general annual conference, or maybe you need to introduce new software, align departments, or make an important announcement? Or do you just need to get your creative team together to brainstorm, collect ideas and spark innovation. From small meetings with less than 10 delegates, all the way through to attendees in the thousands, it’s important to know how many delegates will be attending your event. We can then recommend the most appropriate equipment to suit your needs. Will it be an indoor or an outdoor event? It is becoming increasingly popular to host a company away day, or fun day, in an outside space. Whether your event is indoors or outdoors, there should be no compromise on the quality in the delivery of your event. Do the delegates need to be able to see a screen? For larger events, it can be difficult to ensure every delegate gets an uninterrupted view of the screen. In this instance we would supplement the main screen with plasma screens, at carefully positioned points, so that everyone gets the maximum benefit. The only power supply we need is 13 amp plug sockets – the number of sockets required will depend on the size of your event. We provide generators for outdoor events. However, whether it is a small intimate function or a large corporate event, the fundamentals remain the same: to communicate effectively. We can help you pick the most appropriate audio visual, sound, lighting equipment and staging to assist you with that communication. You can trust in us to present your message with professionalism and clarity to get the most out of your event. We can set up your corporate activity (depending on the scale of the event) in a matter of hours. All of our high quality equipment is thoroughly PAT tested and checked prior to, and during, installation. For our (and your) peace of mind, we always carry a back-up just in case there is an unforeseen glitch. We provide all sorts of audio visual equipment from projectors and screens, to DVD/Blueray players and laptops. Please feel free to browse through the products available to hire (please click on the Audio Visual tab on the side of this page). We have various sound equipment items for hire such as speakers, amplifiers and CD/Mixers to suit your particular corporate event needs. Please click on the sound equipment tab on the side of this page to browse the full catalogue. Good lighting can really make your event stand out – whether your requirements are spots, LED flames or a star cloth we can provide the right lighting equipment for your event. Please click on the lighting equipment tab on the side of this page to see the extensive range we offer. We have a range of stage and other equipment that can be hired from us, such Generators, Gazebo’s, Chairs, Dancefloors, Entertainment and Mobile Bars. If we do not stock a particular piece of equipment, we will know a company that might, please ask for details. I need to talk to someone about my corporate event hire – do I just call you? Yes – please do. 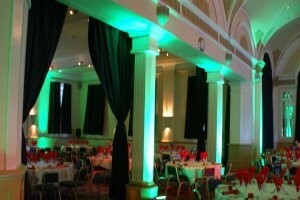 We have over 25 years’ experience of corporate events equipment hire, and each event has different requirements. We can tailor the equipment you hire to specifically suit your needs. Our office is open from 9:00 to 17:30 Monday – Friday. However, we do have an emergency contact number whilst we are on site. The venue needs to be cleared that evening for a function the next morning – is that possible? That’s not a problem at all. We can dismantle our equipment immediately after the event, so that it is free for the next day. How much notice do you need for hiring corporate event equipment? This depends on the equipment needed and where you are in the country. If we are able to help, with as little notice as 24 hours, we will endeavour to. Will we be trained on how to use the equipment? One of our engineers will fully train you on how to use the equipment and we’ll leave a contact number should you need it whilst the event is taking place. What if the equipment stops working? We always carry extra equipment, so we can quickly get you back up and running.